SFS Equipment sales reps will call to schedule a delivery appt. Which gives you the flexibility to work around your busy schedule and to prepare the space where your item will be placed. Upon delivery, trained professionals will unload your large item from the truck, bring it into the room of choice, unpack the item and remove all packaging debris from the premises. All new refrigeration has a 2 year parts and labor warranty & 5 year compressor. 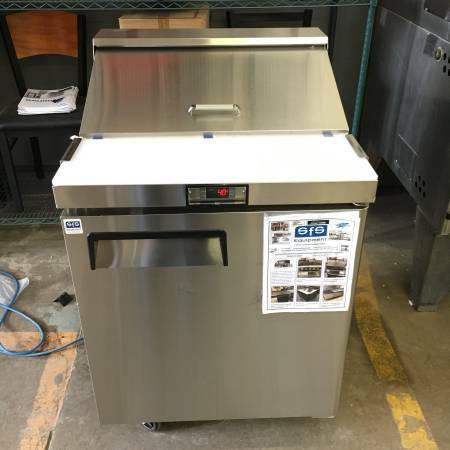 Visit our Facebook to view our complete inventory of restaurant equipment. Locations in Arden Hills, MN & Superior, WI. 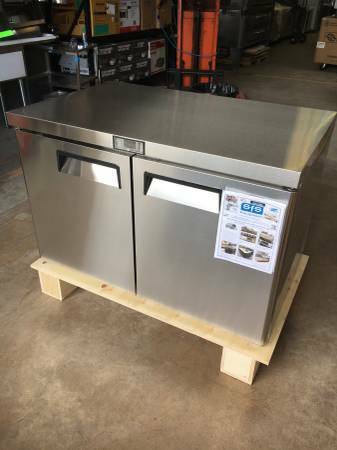 New Refrigeration & cooking equipment is in stock at our Superior, WI location. 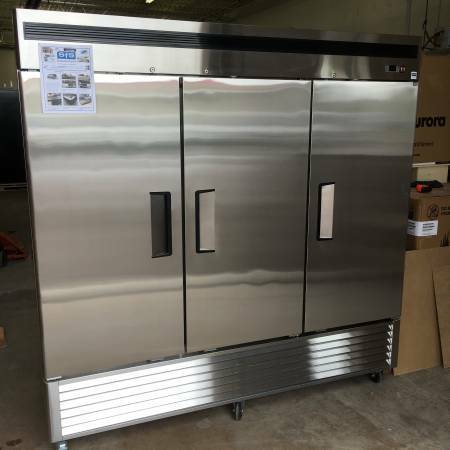 SFS Equipment LLC specializes in new and reconditioned restaurant equipment. We are one of the largest new & used restaurant equipment dealers in Northern WI and Minnesota with over 10,000 sq ft of warehouse space. Each piece undergoes a rigorous restoration process before being placed for sale. All used restaurant equipment is deep cleaned, including being completely stripped and detailed to ensure the best quality used product. One of our experienced technicians inspects, analyzes, and completes all needed repairs/replacements. All reconditioned equipment is backed with a 6 month parts and labor warranty. This is the longest warranty on reconditioned equipment in the industry. Upon reaching our sales floor you can be rest assured that items are fully functioning and restored to the best possible status. Another thing that sets us apart from the competition is our free delivery service. (Minimum orders apply) We also carry a full line of new equipment brands like Bunn, Turbo Air, Vulcan, AHT, CMA, Patriotwares, Aurora, Atosa, Alto Shaam, Saba Air, Sierra Range, Therma Tek, Imperial, True, US Range, Garland, Bev Air, Kelvinator, Delfield, LoLo, Panasonic, Waring, Globe, Axis, Everest, Dean, Manitowoc, Kool Air, American Dish Services & Jet Tech. Reply to this post to see our monthly sales flyer. Similar Brads: Aca, Acroprint, Alfa International, Amana, American Dryer, American Metalcraft, Anchor, Hnocking, Apw Wyott, Araven, Argus, Ashland, Astra, Autodoner, Avery Berkel,Berg, Benchmark Usa, Berkel, Beverage-Air, Bissell, Bk Resources, Blodgett, Bloomfield,Bradford Hall, Broil King, Bunn, Cadco , Cambro, Cardinal Carlisle, Cas , Cdn ,Cecilware , Chef, Revival , Cleveland , Comstock Castle , Continental , Co-Rect , Crestware , Cristar, Dean, Delfield,Dexter,Dormont,Duke, Eagle, Edesa, Edlund, Escali, Everpure, Excellence, Fagor, Focus, Fogel, Frymaster, Garland, Glass Pro, Globe, Hamilton Beach, Harford By Kolpak, Heat Seal, Hell'Shandle, Hollowick, Hoover, Howard Mccray, Hussmann, Imperial, Inn Crowd, Intedge ,Internationaltableware, Kelvinator,Kitchenaid, Krowne, Lasalle Manor, Libbey, Libbey, Tableware, Libertyware, Lincoln, Magnesol Xl, Magikitch'n, Manitowoc, Marko By Carlisle, Mercer, Metro, Miroil ,Modesto, Mundial, Nemco, New Age, Norlake, o-Cedar, Omega, Oneida, Oreck,Panasonic, Patriot, Penn Scale, Pitco, Proctor Silex, Prostore, Regalware, Rinnai Robertson, Robot Coupe, Roundup, Royal, Rubbermaid, Sauber, Sauber Select, San Jamar, Sentinel, Server, Service Ideas ,Somerset, Southbend,Star, Swing-a-Way ,Tablecraft, Taylor, Thunder Group, Toastmaster, Tomlinson, Town, Traex,Tri-Star, Turbo-Air, Univex, Uniworld, Update International, Vacmaster, Villeroy & Boch, Vitamix, Vollrath, Vulcan, Walco, Waring, West Bend, Wilton, Winco, Winholt, Wusthof Pro Cutlery, Zeroll, Zurn,3m.